I had read about this place numerous times and never figured I would ever be anywhere near it. The truth is, its really in the middle of nowhere. On the MN/SD border about halfway down the western edge Minnesota lies this geological anomaly. This is Salt Lake. 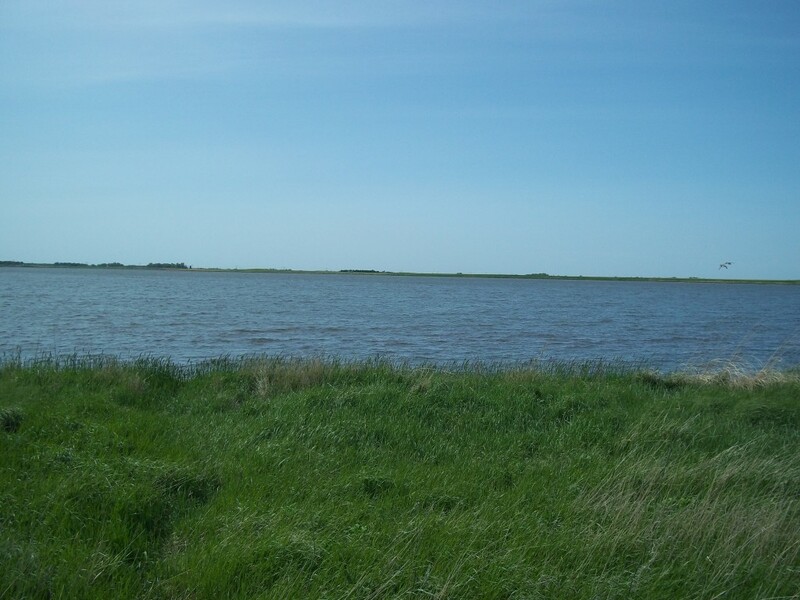 It’s roughly 300 acres of shallow water sitting on the open prairie surrounded by fields and the occasional grove of trees. What makes this lake unique is that it is roughly 1/3 as salty as the ocean, the only salt lake in the state. The next closest salt lake is in Utah. And what’s really cool is that it attracts all kinds of birds that are not native to MN. Over 150 different species have been spotted here, especially in the spring during migration season. Although not many fish can live in this lake, there are different types of rare seaweed and brine shrimp. So, what causes 1 lake out over 10,000 in the state to be salty? The explanation is that salt makes its way into the lake from alkaline soils in the area. Because it has no inlet or outlet to flush out alkaline minerals, it stays stagnant and salt remains when the water evaporates. Something like this is very rare. 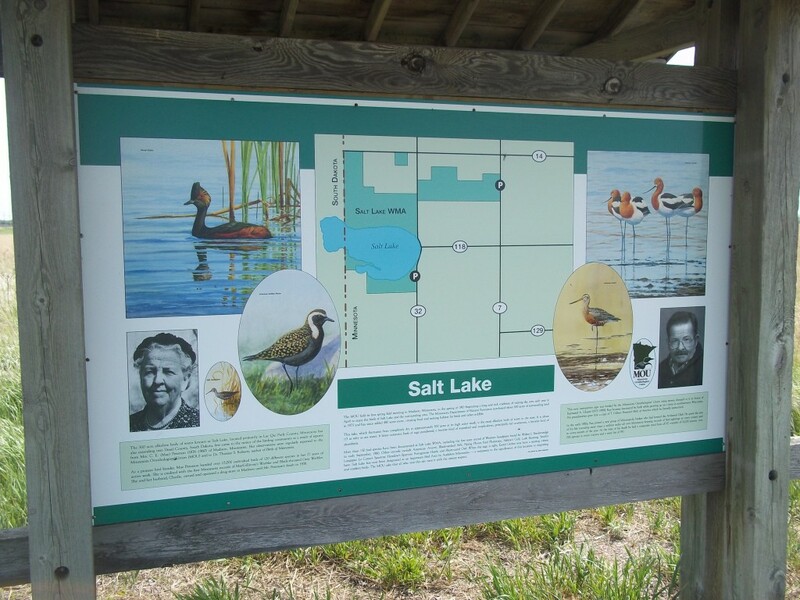 At the location there is a viewing deck for birding, and a informational sign marker that explains the history of the lake and all the details. 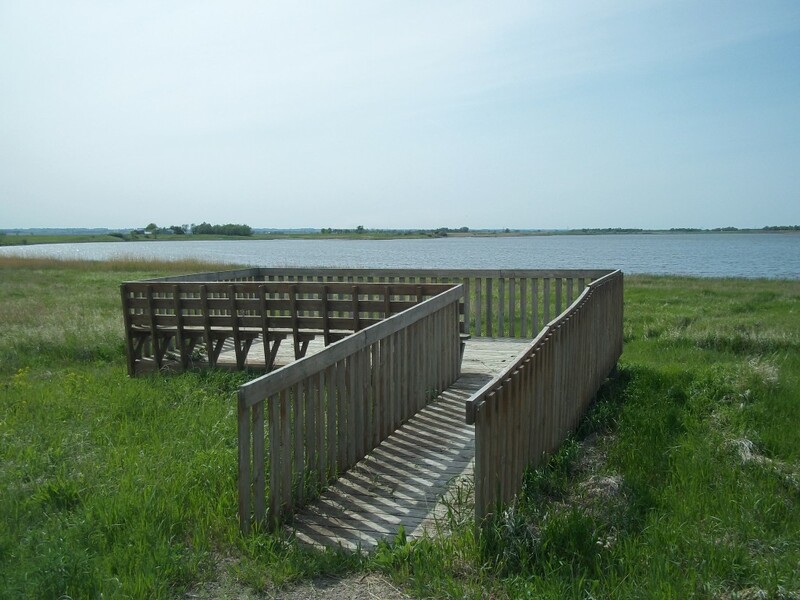 And I did make my way down to the shore and tasted it – yep, salty as hell.While in the area: Visit in the spring, where all sorts of birds whose names I can’t pronounce migrate through the area and make the stop here. This entry was posted in Highway Highlights and tagged Lake, Minnesota Marvels, MN, Roadside Attraction by Seth5544. Bookmark the permalink.